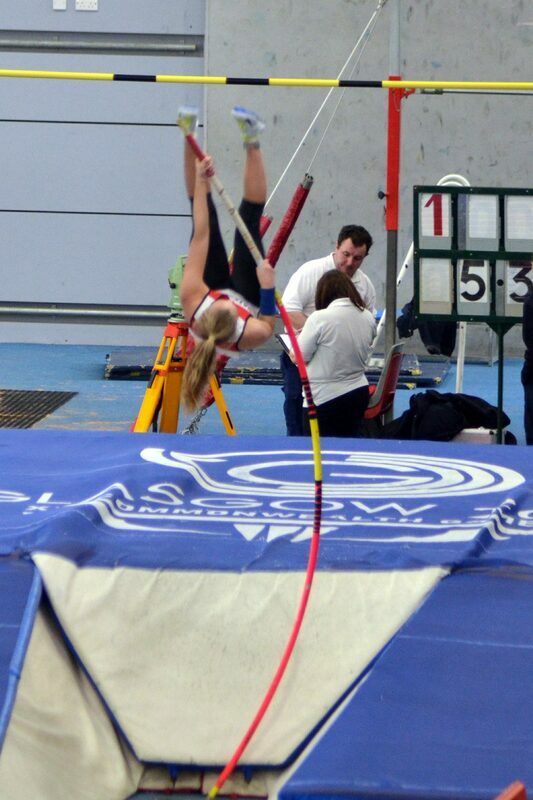 COMPETITORS were soaring to new heights at the North Eastern Counties Indoor Championships at Gateshead College Academy for Sport. That certainly was the case for pole vaulters Molly Elliott and Isabelle Potier Godinho and high jumper Amelia Bateman, who were a trio of athletes who set new Championship Best Performances on an excellent days competition which kept the enthusiastic audience entertained throughout the opening day of the championships which saw field eventers take over the riverside venue..
On the day there were six new records set with shot putters Sophie Littlemore and Grace McDonald and long jumper Joshua Chrisp adding their performances to the record book. The pole vault competition commenced at 10am and didn't finish until 1pm as the bar kept rising as the athletes responded to the huge support from the college's balcony. And it was Molly who claimed the title of being best vaulter of the day despite competing in the under-17 age group while Isabelle lined up in the older under-20 category. The Birtley athlete went into the competition after a confident-boost performance in Sweden late last month where she improved her pb to 3:52 metres so the target to better the old championship 2007 figures of 3:50m set by Gateshead's Sally Scott, who later went on to win Commonwealth Games bronze at Hampden Park in 2014, was certainly within her reach. And that target was certainly achieved for not only did she go on to break the record but, in adding another 10 cenitmetres to Scott's record, she consolidated second place in the UK rankings in a big way. Despite the long competition Molly was quickly back in action this time on the long jump runway where she came out on top once again with a winning jump of 5:36m. Isabelle Potier Godinho (Gateshead), a training partner of Molly under the guidance of Chris Boundy, also had to vault higher than ever before in an attempt to erase the 2015 under-20 women's figures of 3:00m set by Kim Weatherburn (South Shields). And it was another delighted vaulter who topped the podium after a clearance of 3:10m which, not only was a new pb but also added 10 centimetres to the existing record. Proudly wearing her newly-acquired England vest after representing her country in a junior international in Hustopece, Czech Republic, where she set a new indoor pb of 1:72m, Amelia Bateman set her sights on Emma Morris (South Shields) championship record of 1:70m. And the Gateshead athlete duly obliged as, in the true Sergey Bubka tradition, added one centimetre to Morris's figures. Earlier this month Joshua Crisp lifted the North of England under-13 long jump gold medal after setting a new pb of 4:75m. and he continued that run of excellent form by soaring out to a record-breaking distance of 5:06m, a distance which sees him heading the UK rankings and the only boy to in the country to better the five metre mark. The Blyth athlete's new NE record erases the 2010 4:77m figures of Markhim Lonsdale who is now one of the countries leading 800 metres athletes. 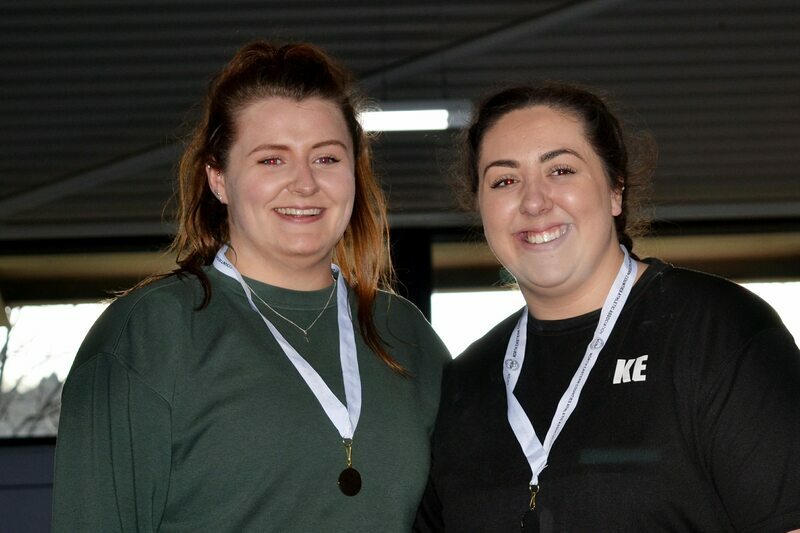 It was now the turn of shot putters Sophie Littlemore (Gateshead) and Grace McDonald of Middlesbrough AC (Mandale) to take centre stage in the shot put circle. Sophie, competing in the senior category, was out to regain her title having missed out on the championships last year as it clashed with the British Championships. And it was a smiling athlete who topped the podium after claiming the gold medal by adding over a metre to her old figures with a put of 13:65m which was just four centimetres shy of her life-time best. Sophie's victory is her fifth NE Indoor title which adds to her collection of four outdoor gold medals. Meanwhile, in the under-15 girls shot put competition, Middlesbrough's Grace McDonald produced a best effort of 11:03m to better the 2003 figures of 10:85m set by Birtley's Katy Wilson. Grace has a pb of 11:48m and is currently ranked sixth in the UK. While it is always nice to report on the record breakers there were many other notable performances over the two days despite the shortage of senior competitors. There was a good competition though in the senior men's shot put where former Gateshead man Craig Sturrock came out on top pushing Morpeth's recently-crowned Scottish Indoor champion Craig Charlton into second place. Craig admitted he's lost count of the number of times he has lifted both the indoor and outdoor titles but was a happy man to win with a distance of 15:28m in his first competition of the year. Other senior men winners were: Pawel Grzaslewicz (Darlington) who won the high jump with a 1:80m clearance; Jarrow and Hebburn's James Andrew claimed the long Jump title (6:22m) while another former Gateshead athlete, Scott Hall, had the spectators behind him as he claimed the triple jump gold medal with a distance of 15:45m. In the senior women's section, Birtley's Rebecca Pottinger won the high jump (1:55m); Clare McGrath (Low Fell) put a mark in the sand at 3:08m to win the long jump and Kara Gibbs (Jarrow and Hebburn) cleared 2:55m to win the pole vault. 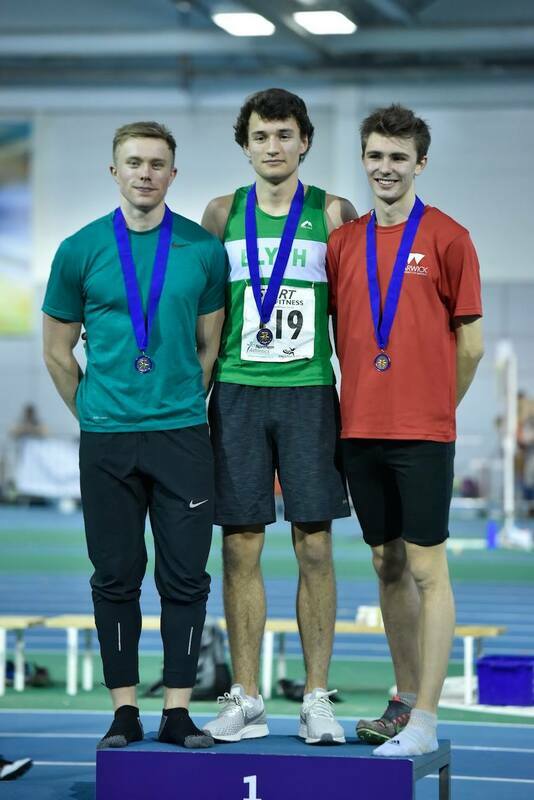 Under-20 men champions were Middlesbrough Mandale's Steven Wheater who just failed to claim the championship record of 1:98m but won the gold medal with a clearance of 1:95m; Gateshead's Joe Halpin won gold in the long jump (6:73m) and silver in the high jump (1:75m); Tynedale's Ellis Leonard won the triple jump (11:96m) and former Chester-le-Street athlete David Todd won the shot put contest with a best of 13:92m In the under-20 women's section there was an exciting long jump competition with victory going to Gateshead's Emma Scarborough with a best of 5:06m which was just three centimetres further than Tynedale's Louise Smith who claimed the silver medal. Blaydon's Rebecca Thorpe won the triple jump (11:06m) while Kate Carmichael claimed the gold medal in the shot with a put of 9:82m. 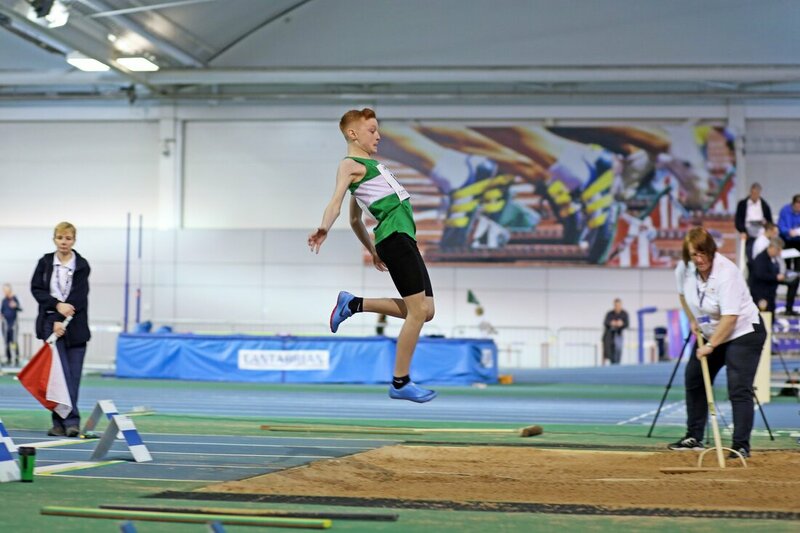 There was a double victory for Ethan Stephenson in the under-17 men's section, the Morpeth athlete topping the podium in both the high jump (1:75m) and the triple jump (12:37m) while Curtis Bingham (Jarrow and Hebburn) won the pole vault with a 2:70m clearance and Jack Halpin (Gateshead) won the shot with 14:68m. In the same age group, Jarrow and Hebburn's Tom Paterson won the long jump (5:64m) and finished runner-up in both the high jump (1:60m) and triple jump (11:30m). The under-17 women's age group saw victories for Blyth's Ellie Morris in the high jump (1:61m); Gateshead's Lucy Giles in the shot put (11:60m) and North Shields Poly's Lucy Errington in the triple jump with a best of 10:49m. 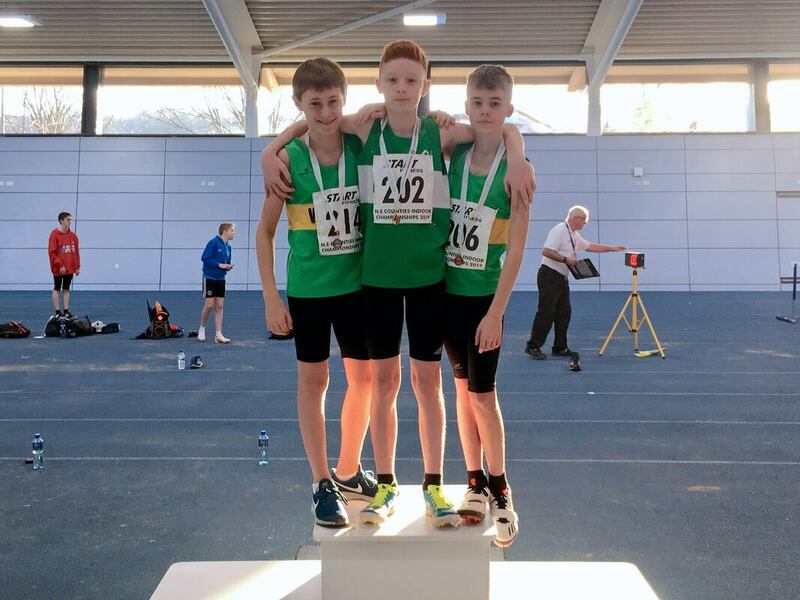 In the under-15 boys section Scott Temple (Hartlepool YAC) won both the long jump and triple jump in 4:60m and 9:20m respectively while Jarrow and Hebburn's Andrew Caygill won the pole vault (1:50) and Gateshead's Vinny Baker claimed the shot put gold medal with a put of 11:62m. North Shields Poly's Anna Fitzpatrick and Gateshead's Darcy Garbutt were in fine form in the under-15 girls section winning the high jump and long jump contests in 1:53m and 4:80m respectively. In the under-13 boys age group Tynedale's Oliver Hunter claimed victory in the high jump and shot put contests with figures of 1:42m and 7:35m respectively while Wallsend's Luke Pilcher received three silver medals after finishing runner-up in the high jump (1:27m), long jump (4:47m) and the shot put (6:84m). IT WAS always going to be a tough act to follow for the sprinters and hurdlers after six new championship best performances were set on the opening day of the championships. And so it proved despite many athletes going extremely close to re-writing the record books. There was one record however to celebrate and that came in the under-17 women's 60m hurdles which didn't come as too much of a surprise as all five finalists ran quicker than ever before. Victory went to Gateshead's Philippa Ellis in her favoured event after finishing in silver medal position in the shot put and long jump competitions the previous day. Philippa's winning time of 8.78s moves her up into seventh place in the UK rankings while Darlington's Charlotte Rutter, who finished runner-up in 9.05s and was also busy 24 hours earlier by finishing second in the high jump and third in the long jump, is now ranked 16th. The bronze medal went to Morpeth's Amy Lott who recorded 9.08s and is now also ranked inside the top 20. The under-17 women's category was the strongest representation of the championships with four heats being required for the 60m with athletes progressing to the semi-final and final. Despite having to face the starter on three occasions it didn't stop all of the medalists posting new pbs. Victory went to Gateshead's Megan Costello in 7.80s - the record stands at 7.75s - with Middlesbrough Mandale's Afomo Ofor finishing second in 7.88s and Blyth's Heather Macdonald completing the one-two-three in 8.07s. Gateshead were exceptionally strong in the under-17 men's 60m where five of the six finalists lined up from the Tyneside club. It was no surprise when Gateshead made a clean-sweep of the medals with, once again, the athletes all setting new life-time bests. Victory went to Lewis Cant (7.19s), Josh McKeown finished runner-up in 7.24s with Daniel Lennie crossing the line in third place in 7.32s. Matthew Lawson, also of Gateshead, finished a close-up fourth in 7.33s. In the 60m hurdles Blaydon's Aaron Lillistone topped the podium with a winning time of 8.96s. 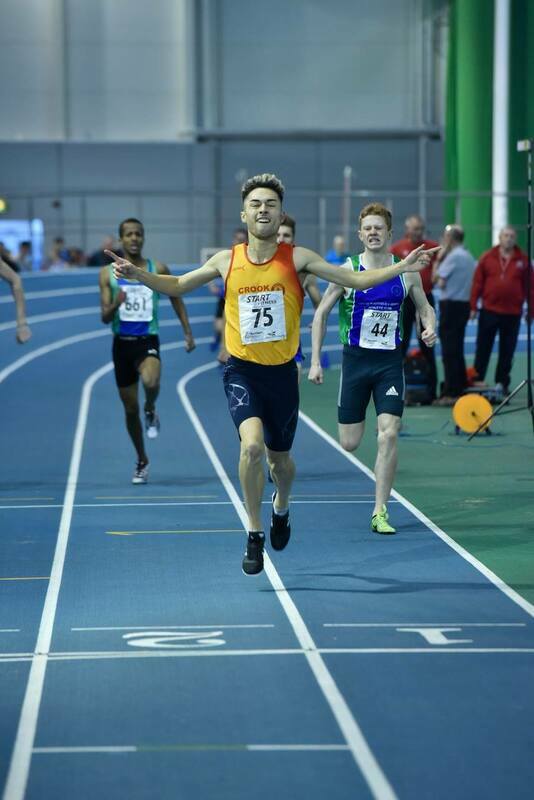 Quickest athlete on view overall was Jarrow and Hebburn's Josh Errington who won the under-20 men's 60m in 7.03s which equalled his pb and was just three-hundredths-of-a-second away from the championship record. Gateshead duo Kyle Walton and Gregory Abib Bukasa filled the minor placings in 7.13s and 7.27s respectively. In the under-20 60m hurdles, victory went to Gateshead's Oliver Lewis in a new pb of 8.92s though he was upstaged by Daniel Njai who was competing in the Masters Championship and ran 8.78s. The under-20 women's section saw wins for Stella Rene Perrett (North Shields Poly) in the 60m with a time of 8.03s and for Middlesbrough Mandale's Amy Carter in the 60m hurdles in a time of 9.33s. Despite having five of the six finalists in the under-15 boys 60m Gateshead couldn't quite match the performance of their under-17 team-mates and had to settle for just the gold and silver medals. Blyth's Stewart Bestford, having his first-ever championship race indoors, managed to spoil the party by finishing in third place in 7.82s behind Joel Brown-King (7.70s) and Ulrich Lawson (7.77s). Blaydon's Joseph Clark was also having his first indoor race and he came out victorious in the 60m hurdles with a winning time of 10.37s. There were new pbs for the medalists in the under-15 girls 60m with Gateshead's Darcey Garbutt lifting the title in 7.95s to move into the top 10 in the UK rankings. Middlesbrough's Martha Wyatt received the silver medal (8.12s) with Cody Hall (Shildon) capping a fine performance in third place in 8.20s. In the 60m hurdles Darcey just failed to make it a winning double as she finished runner-up (9.77s) behind New Marske's Ebony Chrystal-Murtha who recorded 9.62s. Darcey's Gateshead team-mate Eve Harrison finished in third place in 10.17s. 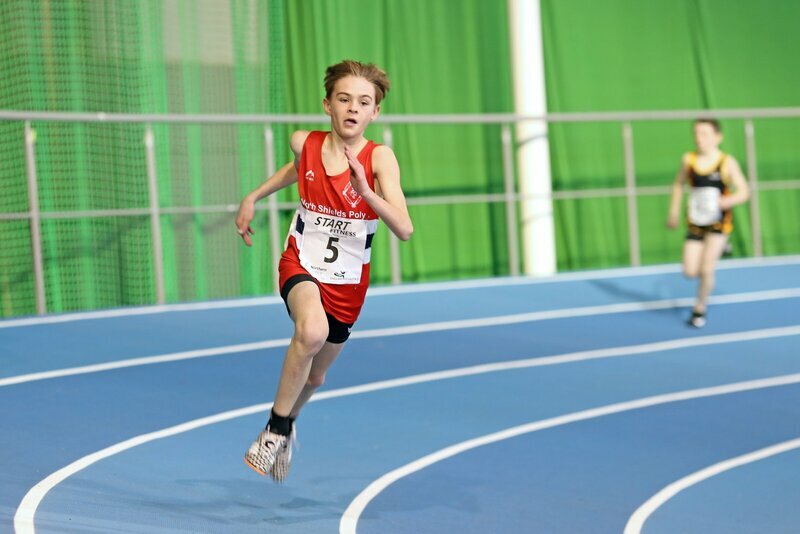 It was pbs all round in the under-13 boys 60m though gold medallist Finlay Maynard (Middlesbrough) was having his first-ever outing indoors. The Teessider came out on top with a winning time of 8.56s with Wallsend's Reuben Moss finishing in second place in 8.64s and Blyth's Alex Walker completing the one-two-three in 8.99s. The 60m hurdles was won by Bailey Peacock in 12.58s. Just three-hundredths-of-a-second separated the medallists in the under-13 girls 60m. All three girls were rewarded with new pbs with victory going to Gateshead's Cecile Nelson in 8.64s. Maya Turner of Blyth finished second in 8.66s with North Shields Poly's Madie Barbour third in 8.67s. Blyth's Hannah Wilson recorded a pb of 10.16s to win the 60m hurdles as Hannah Lott (Morpeth) finished second (10.23s) with Blaydon's Grace Kyle completing the medallists in 10.65s. There were only three senior men and three senior women contesting their respective 60m race. Julian Osei-Bonsu won the men's championship in 7.31s with Gateshead team-mate Justin Cooper second in 7.58s and North Shields Poly's James Mole third in 7.90s. The women's event was won by Laura Mole (North Shields Poly) in 8.33s with Katie Tavers (Gateshead) finishing second in 8.39s and Emily Stewart (Gateshead) receiving the bronze award in recording 9.27s. Thanks go to all the athletes who took part without them we wouldn't have a championships while spectators played a huge part in making the two-day meeting a success by cheering on every competitor. Also a huge thanks to the organisers and officials on the day who made sure everything ran smoothly and to time. We now look forward to the NE Indoor Pentathlon at the same venue on Sunday, March 17. DESPITE travel difficulties the region still managed to line up a huge turnout at the Northern Athletics Under-15 and Under-13 Indoor Championships at the EIS Arena, Sheffield. The North East's only gold medallist was Blyth's Joshua Chrisp who came out on top in the under-13 boys long jump with a new pb clearance of 4:75 metres. the event was a huge triumph for the region with Rhys Brunton (North Shields Poly) - Rhys had competed in the Northern Inter-Counties cross-country championships at South Shields on a snow-bound course the previous day - joining him on the podium in second place (4:29m) and Wallsend's Luke Pichler finishing in sixth place with a best effort of 3:99m. After completing his long jump competition, Joshua made a quick getaway to contest the final of the 60m where, once again, also headed Rhys with the Blyth athlete finishing runner-up (8.23s) behind Rotherham's Adam Javed who set a new championship record of 8.01s. Rhys, meanwhile just missed out on a medal finishing in fourth place in 8.62s after recording 8.46s in the earlier rounds. The region had three other competitors in the event with Hartlepool Youth's Ryan Hodge (8.97s) and Blyth's Joseph Anderson (9.23s) and Chester-le-Street's Fenic Couzens (9.49s) all going out in the heats. Luke Pichler, meanwhile, did make it onto the podium after finishing in bronze medal position in the shot put contest with a new pb of 6:58m while Rhys was also in pb form when recording 27.56 in the heats of the 200m. He couldn't quite match that performance in the final however, but still managed to make it onto the podium in third place after clocking 28.51s. Houghton's Joseph McGinley also made it through to the final and crossed the line in fifth place in 30.22s after recording a pb of 29.54 in the heats. Joseph also finished in fifth place in the final of the 800m setting his second pb of the day with 2: 35.37. Luke Pichler also set a new pb in the heats with 29.76s. 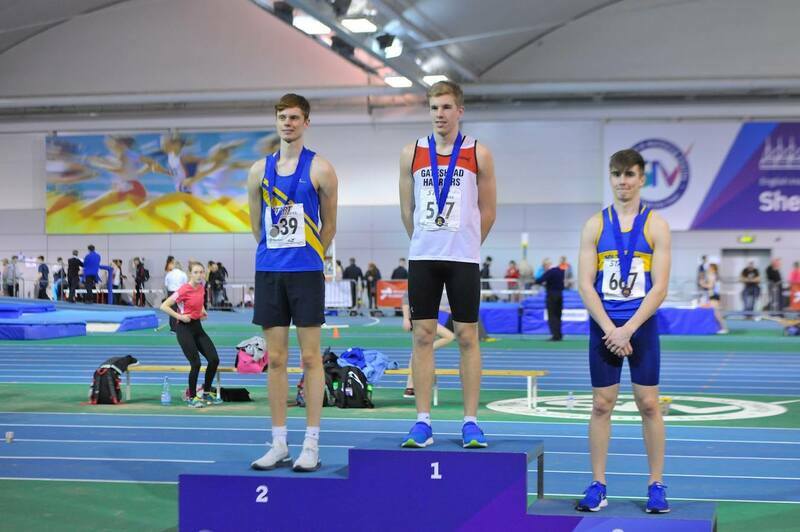 In the under-15 boys section Gateshead's Joel Brown King finished runner-up in the 60m with a new pb of 7.76s while team-mate Jay Rawson finished third in the high jump, also with a new pb of 1:60m, Jay also finished in fifth place in the 60m hurdles final in a time of 10.16s. Gateshead team-mate Joshua Hickson with a pb of 8.08s and Fergus Green (Hartlepool Youth) who recorded 8.04s in the heats, both missed out on a place in the final. In the 800m North Shields Poly's Josh Blevins showed no signs of weariness after his winning run in the cross-country the previous day by finishing in second place with a new pb of 2:07.70, an improvement of nearly two seconds on his previous best. In the 200m Fergus Green just missed out on a place once again after setting a new pb of 25.59s in the heats. The region only managed two medals amongst the girls events on a packed programme. 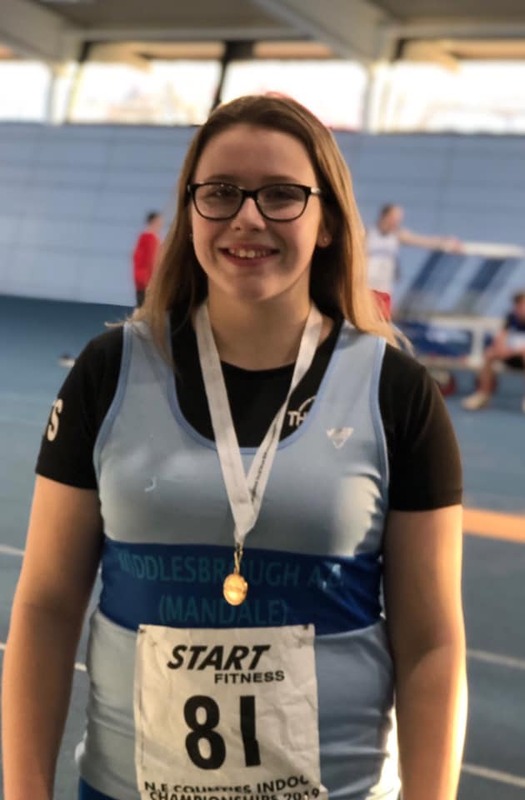 It came courtesy of Middlesbrough Mandale's Grace McDonald who finished in third place in the under-15 girls shot put contest with a put of 10.38m and Blyth's Madeleine Liddell in the under-13 girls 200m. Despite the scarcity of awards there were still many promising performances among the girls. Darlington's Darcey Garbutt made it to the final of the 60m hurdles where she finished eighth position in 10.00s after recording 9.85s in the heats. Blyth's Millie Train going out in the heats despite setting a new pb of 10.59s. Darcey also made it through to the final of the 60m where she produced a pb of 8.09s for sixth place. The event had numerous other entrants from the region with North Shields Poly's Joanna Irving setting a new pb of 8.33s in the semi-finals while team-mate Lily Lee recorded 8.75s in the heats. Allerton Juniors' Hayley Calvert also competed recording 9.73s in the heats. In the 200m Gateshead's Charlotte Graham set a new pb of 29.57s after making it through to the semi-finals. Meanwhile, Madeleine Liddell was in the form of her life over one circuit of the arena. In the under-13 girls 200m heats she produced a pb of 29.78s, then ran quicker in the semi-finals with 28.75s and then produced a superb pb of 28.51s in the final to make it onto the podium. North Shields Poly's Maddie Barbour also made it through to the final eventually finishing sixth in 29.91 after recording a pb of 28.98s in the semi-final. Blyth's Sadie Parker also made it through to the semi-finals recording a new pb of 29.95. In the 60m, Blyth's Maya Turner and Hannah Wilson both made it through to the final with Maya finishing in fourth place (8.69s) and Hannah in sixth with a new pb of 8.82s. Chester-le-Street's Lily White and North shields Poly's Maddie Barbour both made it to the semi-finals recording 8.97s and 9.06s respectively. Despite a new pb of 4:46m, Hannah Wilson just missed out on a medal by one centimetre in the long jump eventually finishing in fourth place. Finally, Chester-le-Street's Ella Jones produced a season's best of 2:41.35 in the 800m. For all those who competed in Sheffield, medallists or not, it was a great experience for the future for it was extremely pleasing to see so many athletes from different North East clubs making the trip. While not a NE athlete a comment would not go amiss to mention the performance of Sale's Success Eduan in the under-15 girls 200m. Not only did the youngster smash the championship record with a time of 24,38s but it also broke the UK all-time 200m record by four tenths of a second. 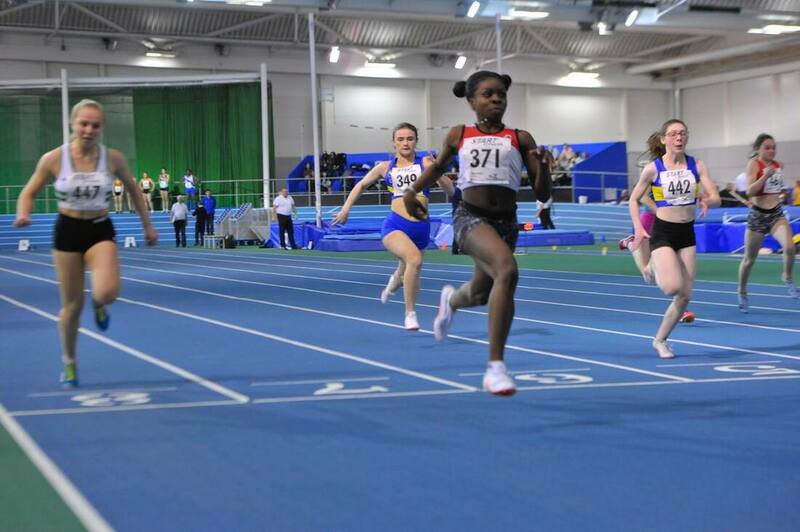 GATESHEAD'S Jazmine Moss led the region's medal charge at the Scottish Under-13/15 and Under-20 Indoor Championships at the Emirates Arena, Glasgow. The Tynesider opened her 2019 account with a superb 200 metres victory in the under-20 section posting a winning time of 24.74secs on the opening day of the two-day championships. Twenty-four hours later Jazmine was in action once again this time over the minimum distance of 60m. After progressing through the heats and semi-final with an identical time of 7.80s, Jazmine produced a pb of 7.79s to go agonisingly close to a second championship gold medal only to be pushed into silver medal position by another England raider, Sophie Walton of Horwich AC, who posted a winning time of 7.61s. Middlesbrough Mandale's Amy Carter was also denied the gold medal in the under-20 60m hurdles. The Teessider was joint fastest qualifier for the final after recording 8.95s before lining up for the final where she was pipped for a top podium place by Aberdeen's Jane Davidson with both athletes clocking the identical time of 8.79s with the electronic timing system giving the verdict to the Scottish athlete. The final NE athlete to make it onto the podium was Durham City's Travis Anderson who contested the under-15 boys 300m. Travis qualified comfortably for the final after recording 41.33s in the heats before stopping the watch at 40.94s for a superb third place in the final. Morpeth's Hannah Lott came close to joining the region's medallists after finishing in fourth place in the under-13 girls 60m hurdles. 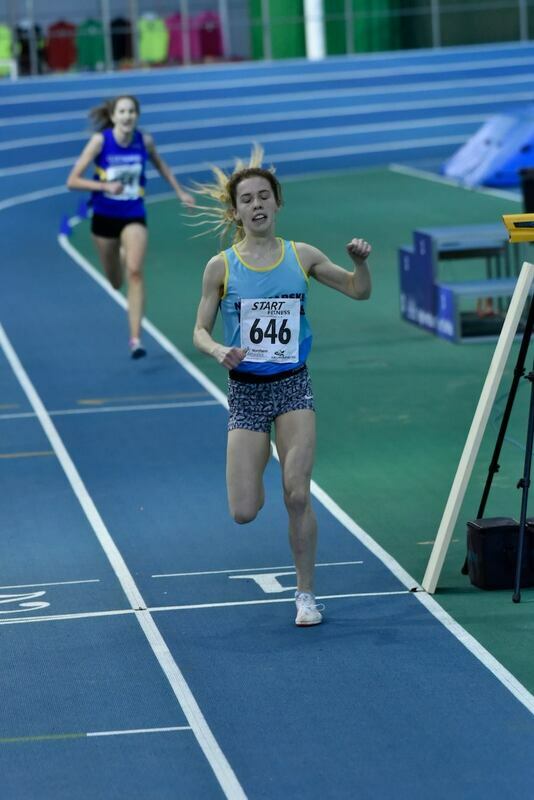 The Northumbrian won her heat in 10.31s and set a new pb of 10.09s for fourth place in the final Another Morpeth athlete, Alice Geoghegan, contested the under-15 girls 60m hurdles and again managed to make it through the early rounds to reach the final where she finished in fifth place in 9.67s. In the under-15 girls 200m championship, Gateshead's Evie Harrison made it through to the final after recording 27.14s in the heats. However, the teenager had to settle for a sixth place finish in the final after clocking 27.44s. In the same event Shildon's Cody Hall missed out by one place to line up in the final after running 27.39 in the heats. Morpeth's Mia Rose Belton also just missed out on a spot in the final of the under-15 girls 60m after recording 8.39s and 8.43s in the heats and semi-finals respectively. WHILE the region's endurance runners headed south to Pontefract Racecourse for the Northern Athletics Cross-Country Championships, a number of our younger athletes travelled across the Border to contest the Scottish Under-17 Indoor Championships at the Emirates Arena, Glasgow. And it was a profitable return for the small band with three making it to the top of the podium and two others returning home with bronze medals. In the women's section the North East had four athletes on the start line in the 300 metres and it was Durham City's Tia Anderson (pictured below) who stormed home to lift the gold medal in an eye-catching 40.73secs. Unfortunately, the regions other three representatives missed out on joining Tia on the podium as Lucy Giles (Gateshead) finished in fourth place in 42.56s; Blyth's Heather Macdonald was fifth in 42.62. and Ava Taperell was sixth in 42.94s. It just wasn't Lucy's day as she also finished in fourth place in the shot put competition with a best put of 12:06m, which was just two centimetres adrift of the silver medallist. In the 60m final the North East was once again well represented with three athletes making it to the start line after progressing through heats and semi-finals. Pride of place went to Gateshead whirlwind Joy Eze who produced a magical pb of 7.64s to take the gold medal and go joint top of the UK rankings. Gateshead team-mate Megan Costello joined Joy on the podium as she also produced a new pb of 7.83s to claim the bronze award. North Shields Poly's Jessica Lively also made it through to the final and finished eighth in 8.12s after recording 8.08s in the semi-finals. Later in the day Jessica took her place in the triple jump and finished 11th with a best effort of 9:26m. The final gold medal for the region when, once again Jack Halpin stamped his authority on the shot put competition to win with pt of 14:72m. The North East's final medal was won by Gateshead's Josh McKeown who finished in third place in the 200m in a time of 22.66s. club-mate Dale Turner cruelly missed out on a place in the final, after setting an identical time to another ‘fastest loser’, the officials had to go down to the thousandth’s of a second with Dale losing out on a final slot. Away from the medallists there were still numerous notable performances amongst both the men and women. In the men's section, Gateshead's Matthew Lawson finished fourth in the 60m (7.26s) after recording a pb of 7.21s in the semi-finals while team-mate Matthew Lumb just missed out on a place in final after posting 7.21s in the heats. Another Gateshead athlete, Liam Eastaugh finished sixth in the final of the 400m (54.61s) after running a pb of 53.66s in the heats while Blaydon's Jason Archer cleared 1:58m to claim seventh place in the high jump. Amongst the women, Durham City's Charlotte Richardson finished fifth in the final of the 200m in 26.42s while Gateshead's Matilda Grierson just missed out on joining after recording 27.00s in the semi-finals. Darlington's Charlotte Rutter finished fifth in the 60m hurdles (9.14s) with Morpeth's Amy Lott also in the final in seventh place in 9.21s. Finally, Gateshead's Philippa Ellis finished in ninth position in the long jump with a best effort of 5:07m. There were several seniors who achieved medal success at well. 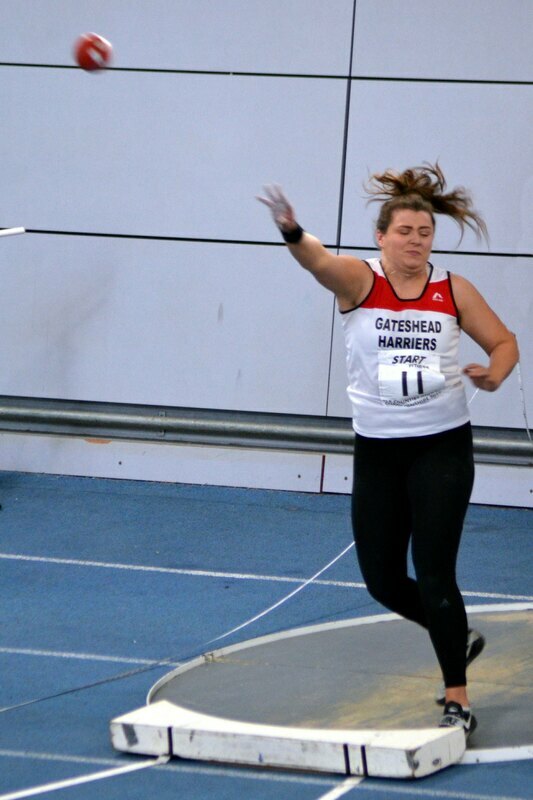 Morpeth Harrier Craig Charlton too Shot put gold with a PB of 14.47m, whilst Kaitlin Enderwick representing Middlesbrough AC claimed bronze in the senior womens event. Ella Maxwell was 6th in the 400m final, with Blaydon's Liam Reveley 7th in the Long Jump. Scott Hall took triple jump silver with his only legal jump of 15.62m. Robin Rutherford has provided this fantastic series of photos from this years Championships. Please check the Harrier League Facebook page for Bill McGuirk's report. 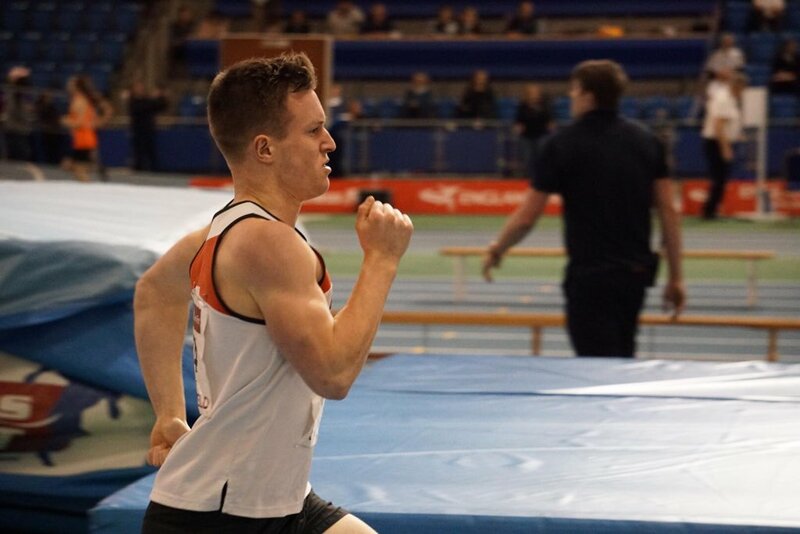 ​DESPITE a huge lack of facilities in the North East many of the region's athletes managed to out-perform their rivals when competing in the Start Fitness-supported Northern Athletics Indoor Championships in Sheffield. Around 80 competitors representing around a dozen North Eastern Counties clubs made the trip to Yorkshire to contest the two-day joint senior, junior and under-17 championships with many returning home after scaling the podium. Leading the way in the senior women's section was Wallsend's Danielle Hodgkinson who switched to the boards after early winter success over the country by posting the fastest times in the Druridge Bay, Aykley Heads and Gosforth North Eastern Harrier League fixtures. The Army personel based in Leeming, missed the county cross-cross-country championships as she was visiting friends in Australia where her training targeted racing indoors after an absence of three years. 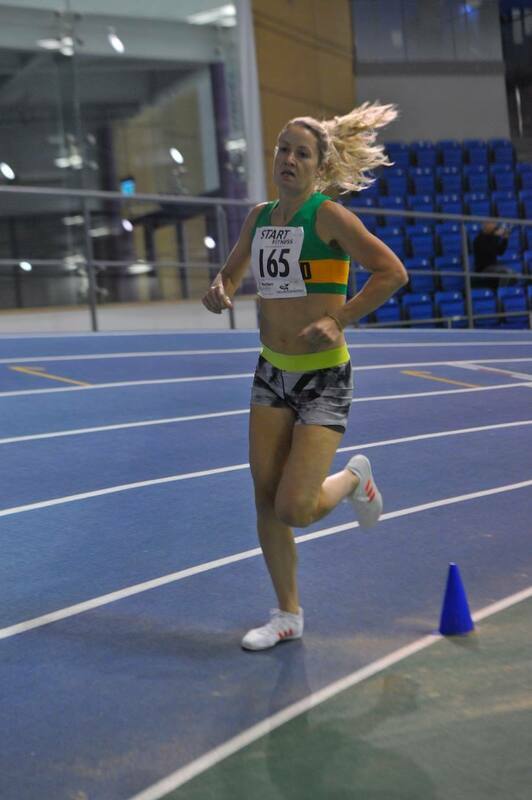 Hodgkinson showed she was in good form when, in the first day's competition, won the 1,500 metres in 4min 25.35sec which was an indoor pb but well outside her best of 4:19.34 outdoors. The Paddy-Dinsmore advised athlete then returned to the EIS arena 24 hours later and certainly showed no signs of weariness as she stormed to an impressive 3,000m victory in 9:32.41 which was only one of a sprinkling of championship records to fall as she knocked over a second off the 2015 figures of Sale's Jenna Hill. Still with the senior women, Gateshead's Sydney Robertson claimed the pole vault gold medal after a clearance of 2:90 metres while the Tynesider's team-mate Sophie Littlemore was extremely unlucky not to join her on the top of the podium. Twelve months ago Littlemore finished in second place (13:48m) in the shot competition and it was the same position she finished with this time round despite adding a further 10 centimetres to her 2018 figures. However, only one centimetre was the difference on this occasion as victory went to Sale's Jessica Taylor-Jemmett with a putt of 13:59m. Next up onto the podium was another Gateshead athlete, Emily Gargan who produced life-time best figures of 5:87m in the long jump which again earned a silver medal. There were three gold medals to celebrate in the senior men's category which came via Jason Nicholson (Gateshead), Crook's Markim Lonsdale and Blyth's Peter Skirrow. Nicholson, last year's junior indoor champion, showed he is equal to competition over the higher barriers by claiming the 60m hurdles title while Skirrow managed to leap out to a new pb of 7:19m in the long jump which was two centimetres further than Gateshead's Daniel Walsh who claimed the silver medal. Lonsdale, like Nicholson, a GB junior international, was having his first indoor competition for two years - he won the under-20 gold medal on the same track in 2017 - but was up to the task by claiming the 800m title in 1:54.78. Gateshead's Harrison Whitfield was the region's lone gold medalist in the under-20 men's division after setting a new pb of 13:92m to win the triple jump. Durham City's Luke Pickering finished in second place in the 3,000m while there were bronze medals for Gateshead duo Declan Murray and Kyle Walton. Murray equalled his pb of 3:80m in the pole vault while Walton ran faster than ever before to finish third in the 60m in 7:09s, just edging out Jarrow and Hebburn's Josh Errington who finished fourth in an identical time! New Marske's Elicia Smith lined up for her first-ever 3,000m and she made it a winning debut. Competing in the under-20 women's section, Smith had over a two-second cushion at the finish to take the title in 10:35.18. There were silver medals for Amy Carter (Middlesbrough Mandale) and Gateshead's Amelia Bateman. Carter finished runner-up in the 60m hurdles in 8.96s while Bateman, who also finished second last year in the high jump with a clearance of 1:71m, picked up the silver medal after a best height of 1:68m. The North East claimed six medals in the under-17 men's age group, two of which were gold. Victory went to Middlesbrough Mandale's Daniel Payne in the 1,500m in 4:02.94 with Houghton's Henry Johnson finishing runner-up in 4:08.32. Halpin, meanwhile, after moving up an age group after previously dominating the under-15 shot, discus and hammer national rankings, produced a putt of 15:66 with the new 5k weight to claim victory. North Shields Poly's James Wordsworth finished runner-up behind Halpin after producing a new pb of 14:61. Blaydon's Aaron Lillistone produced a superb new pb of 8.94s in his first year at the new age group to claim the silver medal in the 60m hurdles while Gateshead's Josh McKeown finished in third place in the 200m in 22.75s after recording 22.72s in the heats. Gateshead athletes claimed three medals in the under-17 women's age group with Birtley also among the medals. The International Stadium based club had Lucy Giles in second place in the shot (11:74m) with Joy Eze producing a lifetime-best of 7.69s in the 60m to also claim the silver medal. 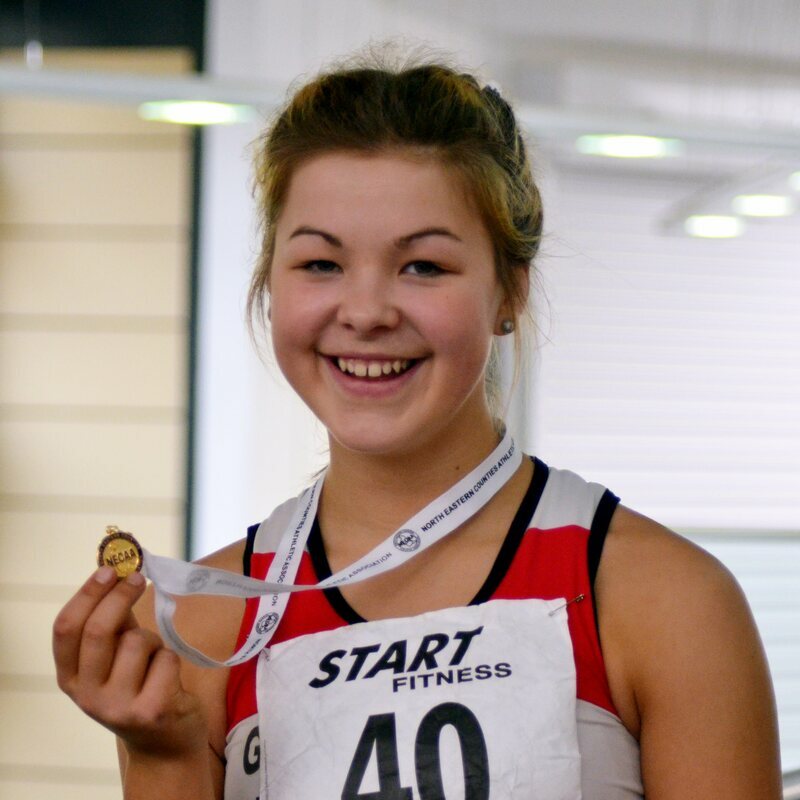 Former English Schools' under-15 800m champion Ava Taperell was Gateshead's other medallist after finishing third in the 300m in 42.83. Birtley's Molly Elliott, meanwhile, claimed an excellent silver medal in the pole vault after clearing 3:40m which was just two centimetres short of her life-time best. While it's a feather in the cap for all of the medallists the experience gained by those who missed out is unmeasurable and it shows the commitment of athletes and their coaches in the North East how important taking part in championship events is and is crucial in the development for athletes and their mentors. All clubs should have received information about an EGM being called by England Athletics in London on Wednesday 30th January to vote on proposed changes to the way Regional Councils are formed. Regional Councils exist to convey information, opinions, etc from the grass roots up to the board of England Athletics, and also the other way around. They intended to be the channel of communication through the sport. The current councils are coming to the conclusion of their bi-annual rota and new bodies will need to be formed shortly with newly elected persons to continue and develop this work. The proposed changes are explained in the literature posted out by EA. They need to be voted on either to support or, alternatively, turn down these proposals. With the board having decided to hold the meeting on a Wednesday night in London commencing at 7.00 p.m., it is obvious that there will be very few (if any) persons from the North East present, and clubs are therefore advised to fill in the proxy voting form enclosed with the the EA literature, these forms have to be returned BEFORE Monday 28th January. The existing members of the North East Regional Council are listed in the NECAA handbook page 5. 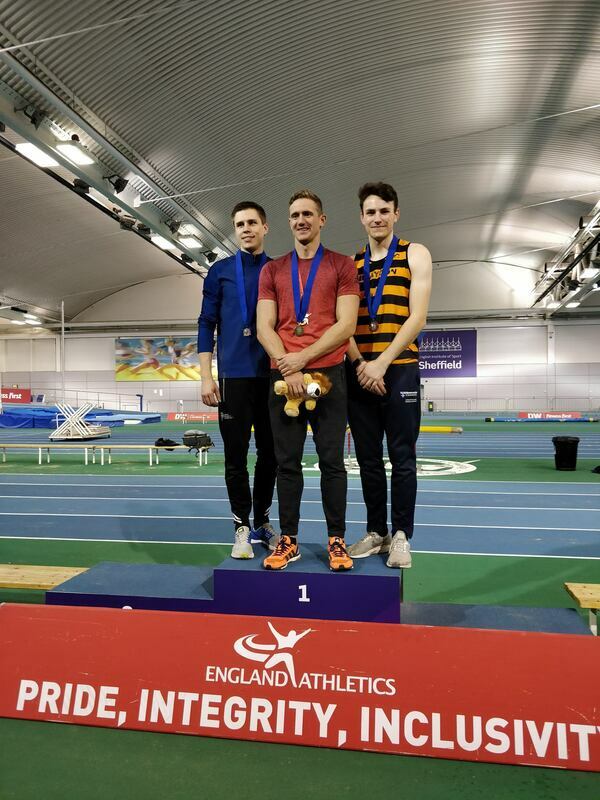 Three of the region's athletes broke in the New Year in fine style with the trio making it onto the podium at the England Indoor Combined Events Championships in Sheffield. Pride of place though goes to Gateshead's Lucy Turner who finished in third place in the Senior Women's Pentathlon, a result which has secured her a GB vest for the forthcoming Indoor Combined Events International in Cardiff at the end of the month. 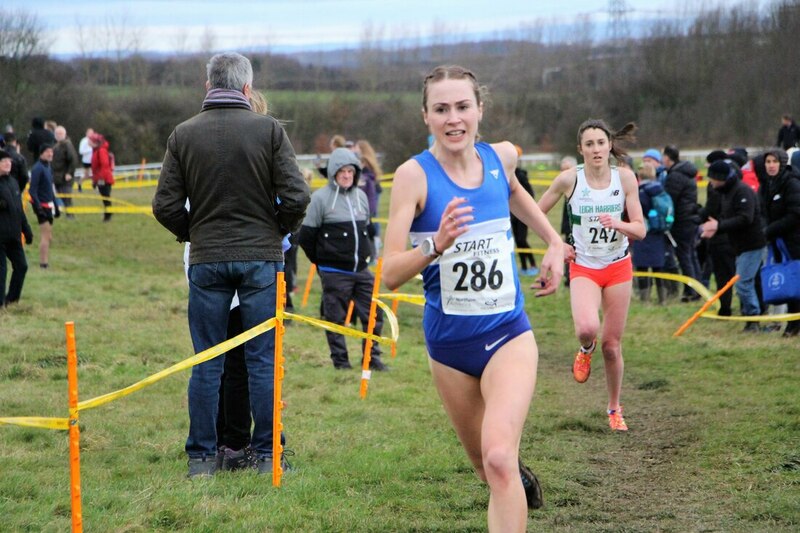 However, the Stan Stanislaus-coached athlete was promoted into silver medal position in the England Championships as victory went to Ireland's Kate O'Connor who accumulated 4,174 points. Yeovil's Ellen Barbour was subsequently awarded the gold medal after totalling 4,020 points with Turner agonisingly just nine points further adrift in third place. On her way to making it onto the podium, Turner produced a new shot put pb of 11:87m while in the 60m hurdles equalled her life-time best of 8.65s. Turner, a student at Northumbria University, was joined in the competition by two fellow students with Laura Voss finishing fifth with 3,908 points while Amy Richards finished 15th on 3,128 points. There were mixed fortunes for Turner's Gateshead team-mate Oliver Herring, also coached by Stanislaus, who competed in the under-20 pentathlon. Herring finished in 16th place overall despite disappointingly no-heighting in the pole vault. However, after amassing 4,126 points from the other disciplines, which was helped by a new 1,000m pb of 2:55.61, it was good enough to claim the North of England gold medal which was held in conjunction with the national championships. Finally, Blaydon's Liam Reveley had a superb weekend after finishing 11th in the senior men's heptathlon after totalling 5,090 points. The Liane Brown-advised athlete set a new life-time best of 12:50m in the shot put; did likewise in the 1,000m after recording 2:49.48 and equalled his pb in the pole vault with a clearance of 4:10m. Reveley's efforts were rewarded with a third-place finish in the North of England section.